For my Sayber OSG grinder I ordered up a 12" contact wheel from L-Paladin after seeing some posts on a Facebook group where a few members thought these were a great deal. I always wanted a large wheel for hollow grinding and working on handle bellies. This is the wheel I bought. When on the ordering screen it's SUPER important to order your wheel "FOR 6202 BEARINGS". This means that the manufacturer will machine the bore for the bearings, but not install any bearings. 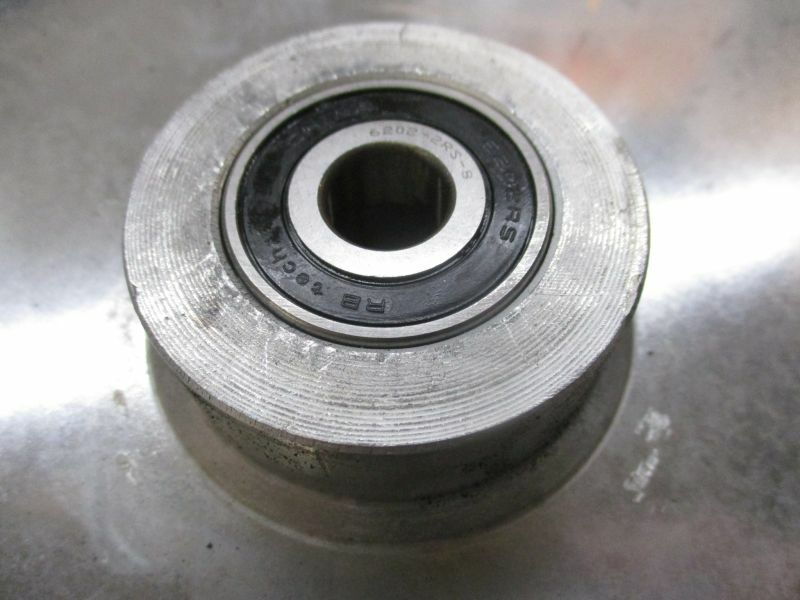 The reason for buying without bearings is that the standard 6202 bearings are metric and have a 15 mm inside diameter (ID) bore. 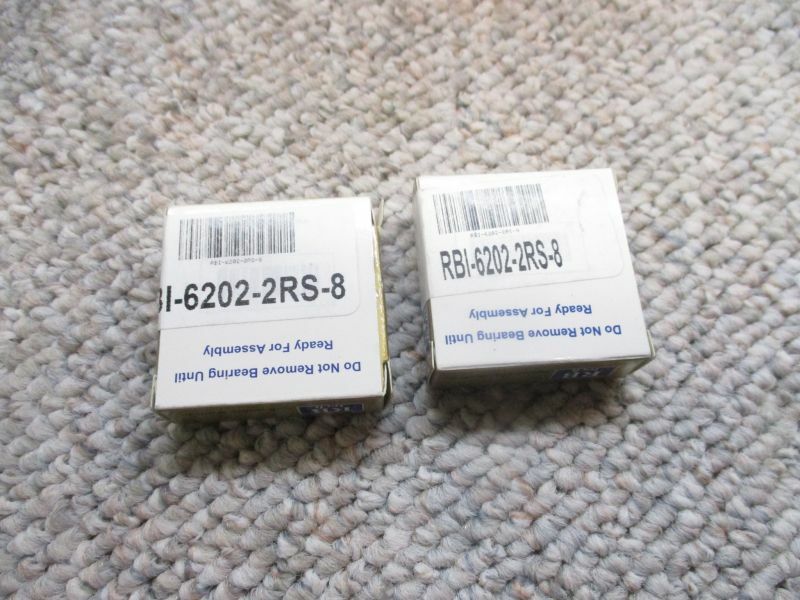 This bearing is super common in the Europe and Asia, but in North America (where I live) 15 mm is next to impossible to find. 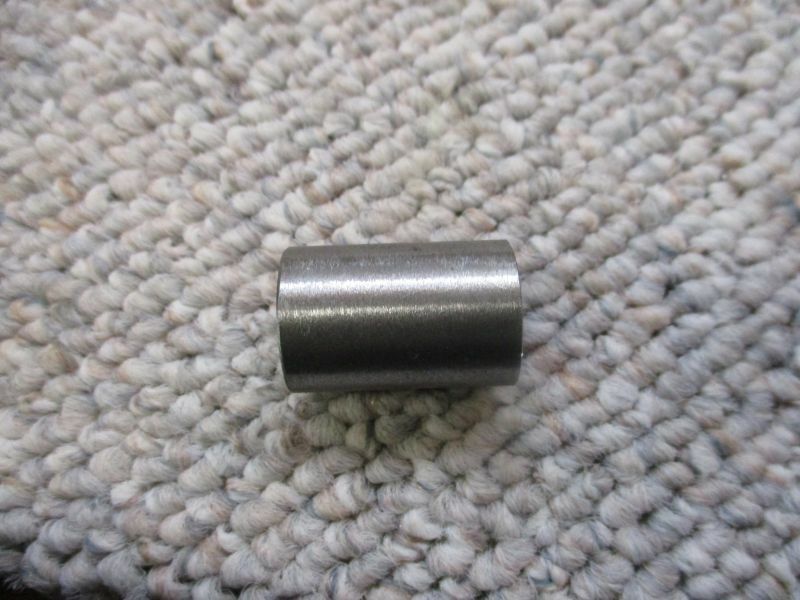 Yes, I searched many vendors for a 15 mm capscrew to no avail. 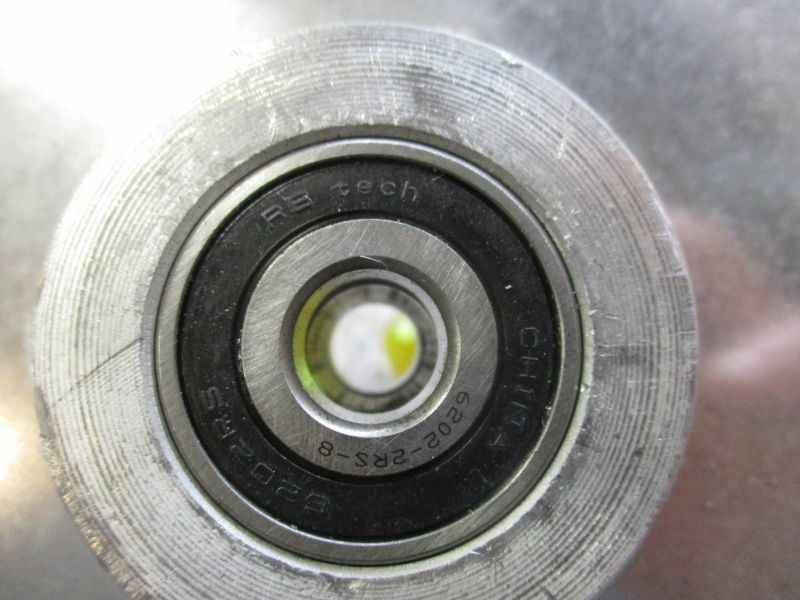 To go in the wheel, we'll be buying the a special 6202 metric bearing that has a 1/2" ID bore. Kind of a half metric and half SAE bearing. 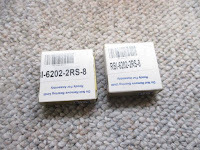 Call your local bearing place and ask for a 6202-2RS-8 or a 6202-2RS-1/2. I bought these two from Motion Industries for under $10. After ordering, the wheel arrived in less than two weeks. DHL was pre-paid. The wheel was bubble wrapped and had plastic around the tread. No noticeable issues. Packaging was good. 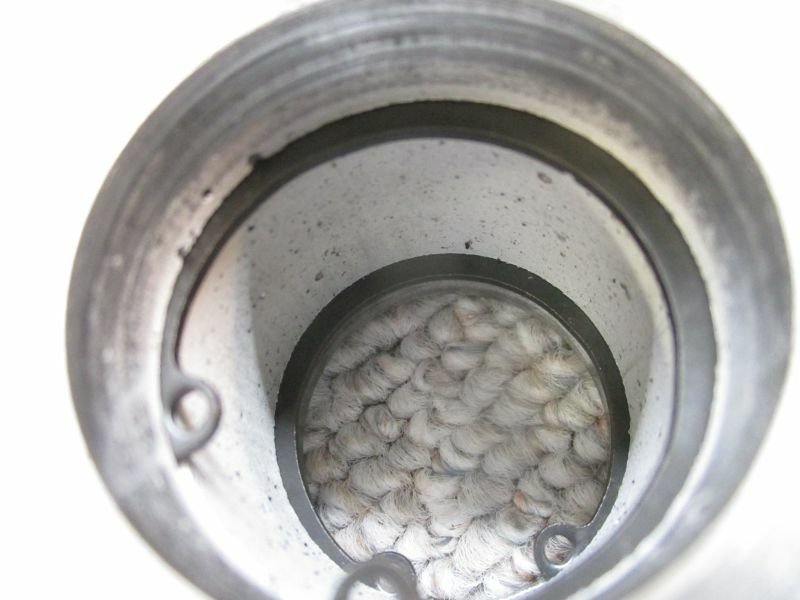 Inside the wheel bore. 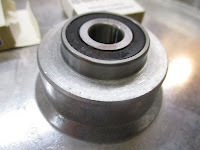 Notice the circlips that that the bearings are to rest on. 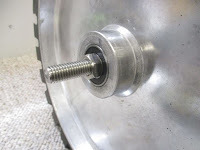 I want to install a spacer to allow the axle nut to be tightened without crushing the inner races so I did a quick measure between the circlips. 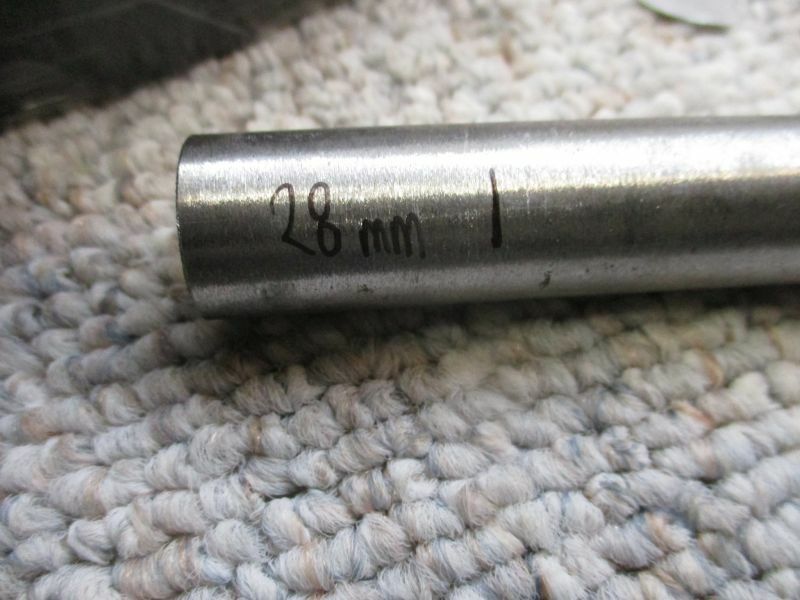 It looks close to 28 mm. 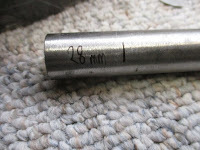 I had some 3/4" DOM tubing that has a 1/2" ID. I cut on the bandsaw to a little more than 30 mm. I left some extra room so I could make the ends really square. 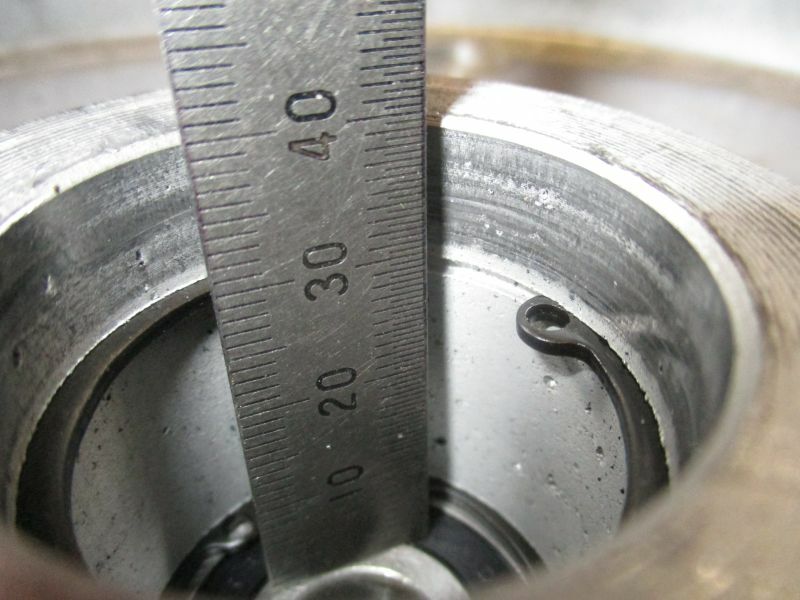 These can be filed in the vise or a belt grinder makes easy work of the extra couple of millimeters. The idea is to make the ends at 90° or as best you can. I put the bearings in the freezer for about an hour. This causes them to contract or shrink a tiny bit. Just enough to get them to slip in without to much effort. The first side went in with a gentle tap of the rubber mallet. Done. Now the spacer goes in. It should be level with the circlip. If not grind a little off. 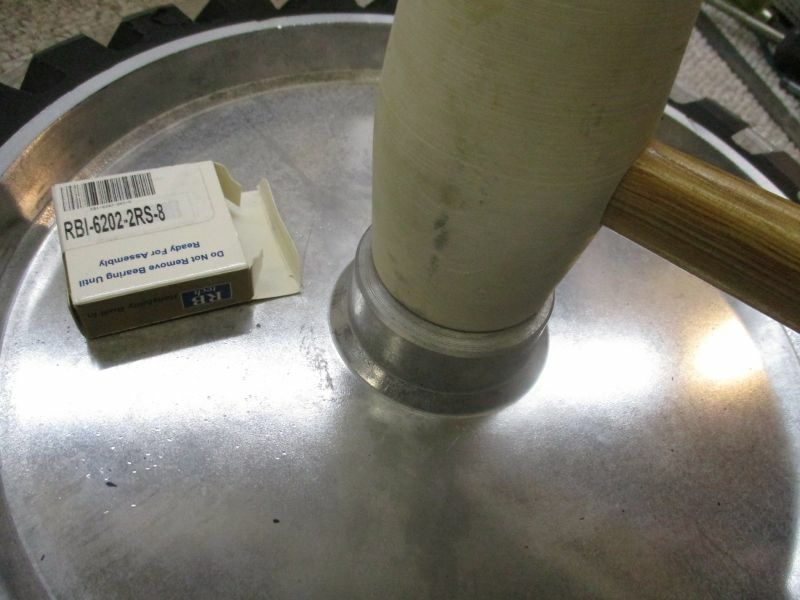 If you've gone too far, you will have to make another spacer. 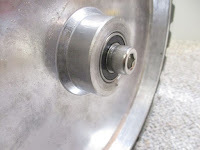 The second bearing goes in the same way. It's still cold and slips in pretty easily. Looking through the inner bore you can get an idea of how your homemade spacer is fitting. The bearings should sit flush when installed. 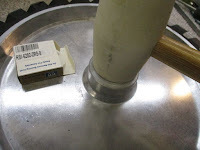 You can use an appropriately sized socket to help in pressing them in. Make sure you are pressing the OUTER RACE and not the inner race. 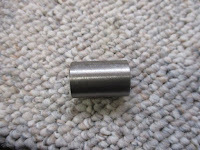 Here I have put a 1/2" x 3-1/2"-NC hex head capscrew through the inner bore. And attached a 1/2" NC jamb nut to the other side. The wheel spins like a dream. I then screwed the capscrew into the tool arm and setup the spacing to match my belt path. A video of it in action. Can't be happier! I screams and has is pretty well balanced for a sub $100 wheel. 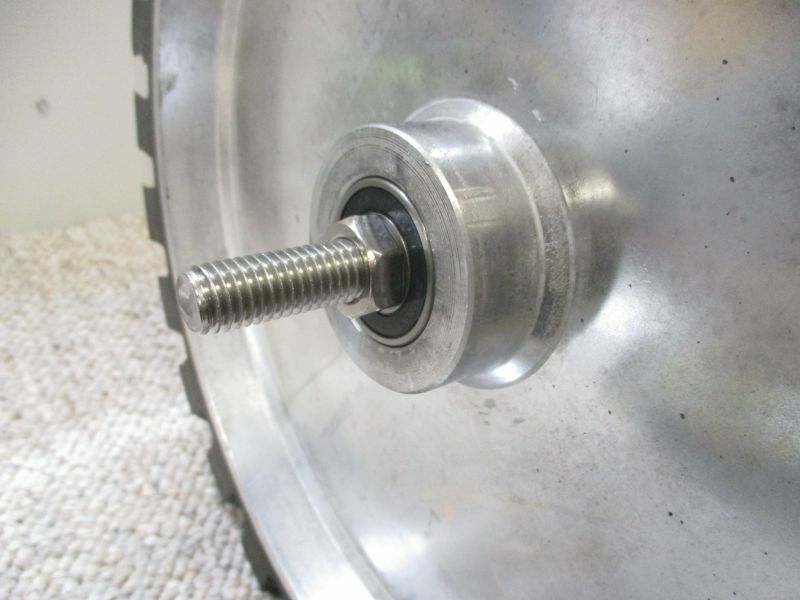 I hope this helps in your large wheel setup. I was going to order the same wheel. The only question is should i choose serrated or plain edge wheel. 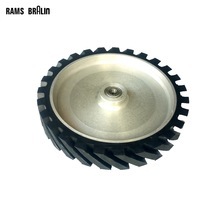 Do you have any recommendations after using such a serrated wheel for a while? How about size? 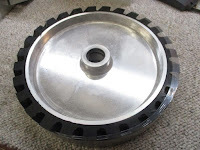 I chose the serrated wheel for the OSG as I have a smooth wheel already. My personal preference is the smooth wheel. I find it a bit more predictable for pressure especially on the edges. However, it's probably more of what I am used to than the wheel itself. It is my understanding that the serrations make the grinding cooler and softer which is more forgiving when learning to grind. 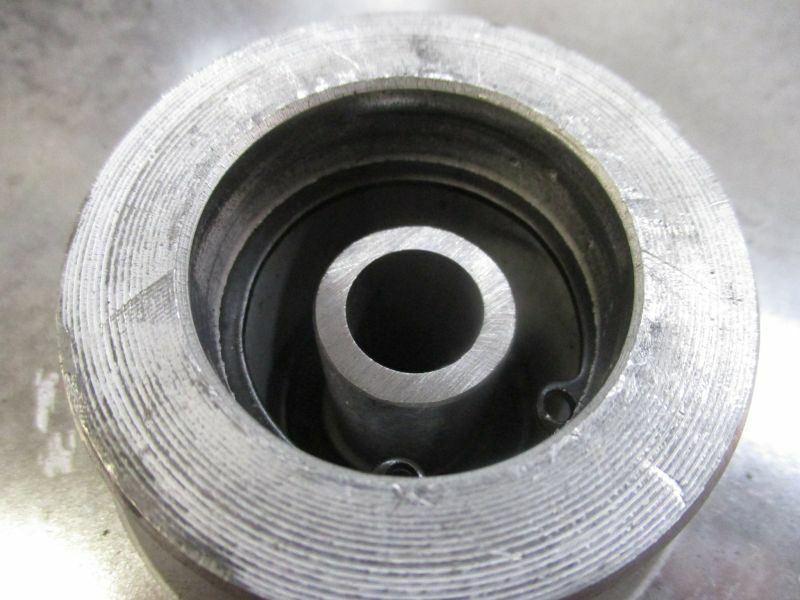 The size depends on what you want to achieve when hollow grinding. The diameter of the wheel will impart a certain concave in the blade. 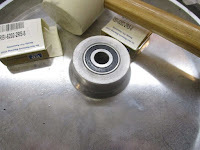 The 12" (30 cm) and 10" (25 cm) wheels are a good choice for larger kitchen knives, while an 8" (20 cm) would be better for razors and smaller knives. I guess I will go for 12" smooth edge then. Will give a feedback and my thoughts here when the item arrives. Just a word of caution regarding quality of these wheels. I bought one using the provided link and received it in short order because of the fast DHL shipping. 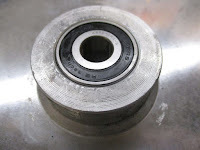 The wheel has obvious inclusions in the casting and "wrinkles" in the aluminum that appeared after machining, and after they drilled portions for balancing. We'll see how it tracks once I mount it, but I am not holding out much hope.